Gridcoin sounds like an awesome opportunity! Can you link some ressources how to get started? Just click the Gridcoin logo above and it will take you to the official site. Ideal money should be useless in value of itself. Bitcoin PoW has to have no utility in and of itself so as to function as something to give away, the only usefulness being as giving away of a numerical value of produce tied to the real world cost of mining. By being money, it supercedes everything else as the unit of measure for ALL exchanges. PoS centralises by not having skin in the game and passive investment generating funds. Bitcoin is a unmanipulatble and uncensorable information exchange of forth-like scripts. Computational and informational markets are coming on bitcoin cash fork. 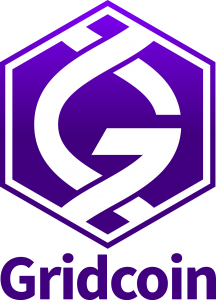 In early November 2018, Gridcoin moved from interest reward for staking to constant block reward (CBR), currently set at 10 gridcoin (GRC). This was done to increase staking difficulty and thus network security. The average reward over time for staking is not greatly affected.